Therefore, x-rays were the most helpful diagnostic when Jay Jay presented to us. 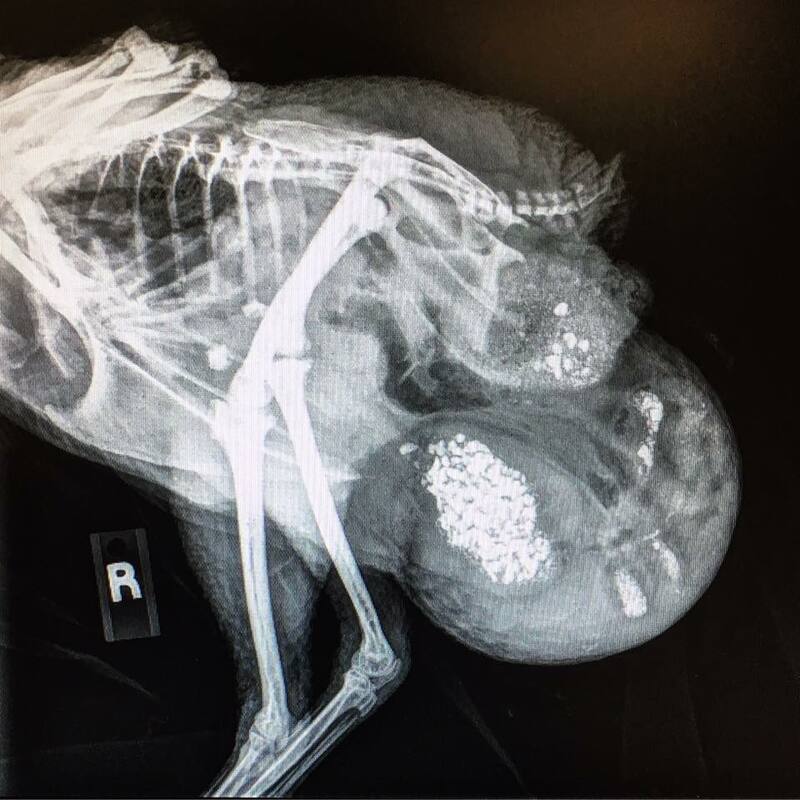 We were a little surprised by the x-rays, as we actually didn't find any of these things; instead, it looked as though Jay Jay had a large hernia! 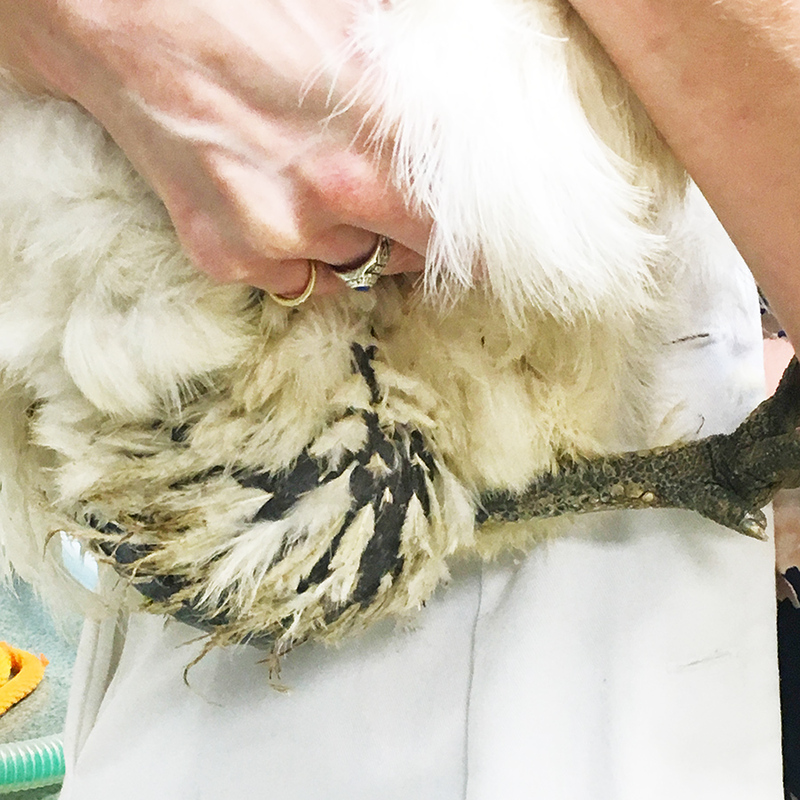 This is not a very common finding in chickens. On x-rays it is quite easy to see just how large Jay Jay's coelom was distended, but you can also see that all of her internal organs were contained in that space as well. 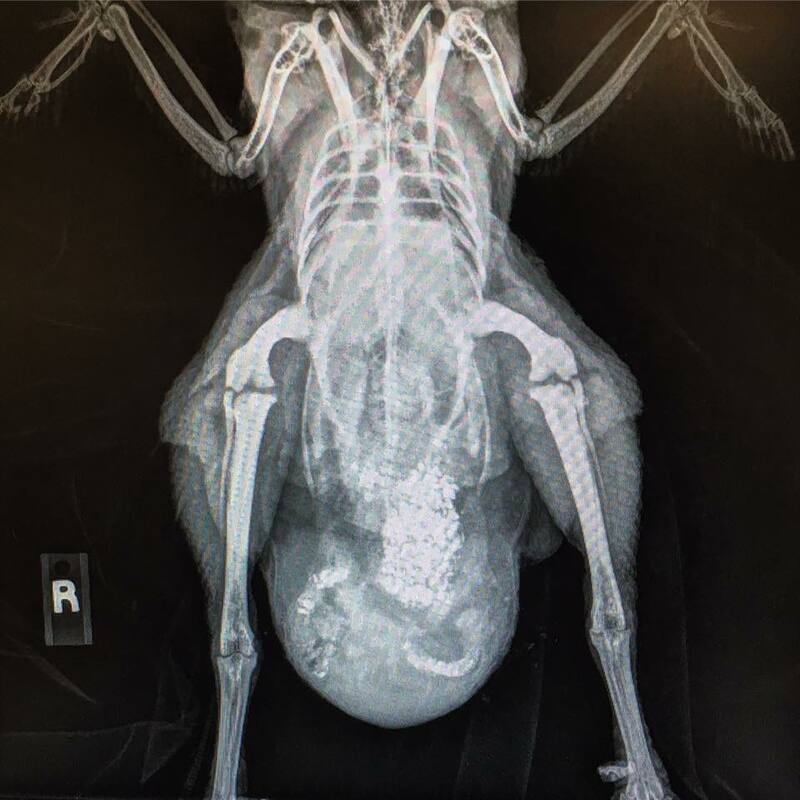 The bright white objects on the x-rays are most likely oyster shell fragments that the owners feed the flock for calcium supplementation and are helpful for visualizing the GI tract in this case! 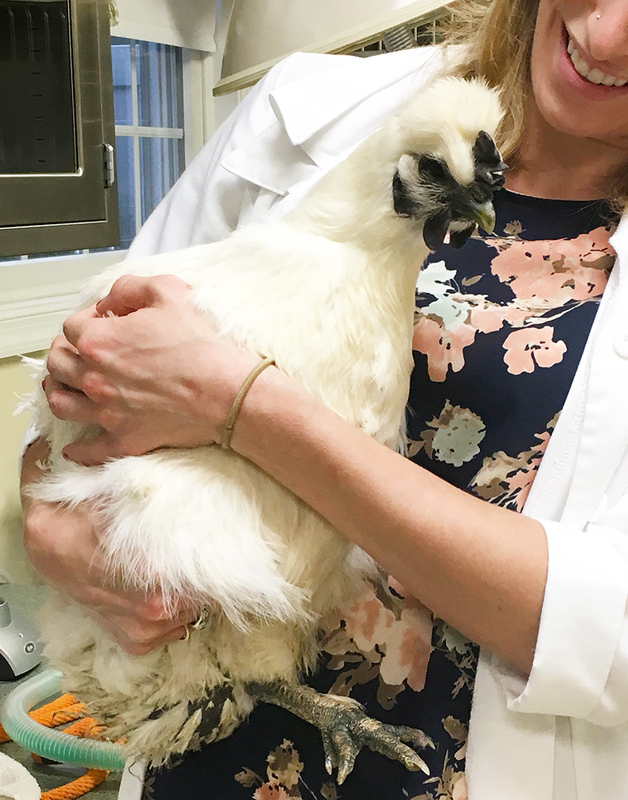 Jay Jay underwent surgery to repair the hernia, as her belly was dragging on the ground when she walked; usually large hernias like this one do not pose a huge problem in terms of organ entrapment, but we still want to fix it. 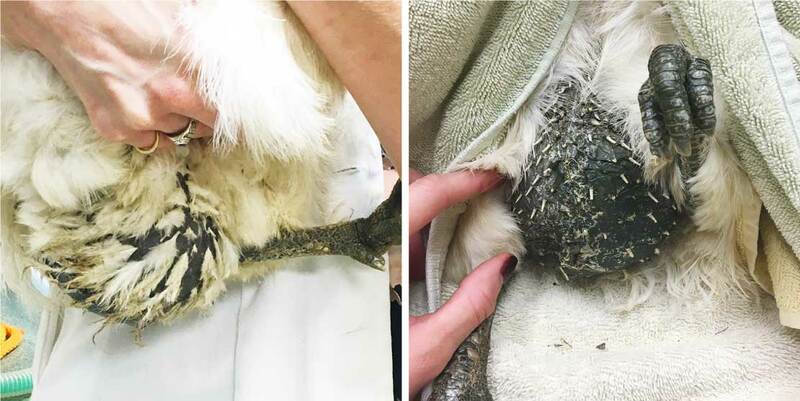 In surgery, we actually found that Jay Jay did not have a true hernia, but instead just had very thin, stretched coelomic musculature, causing the skin to stretch as well. 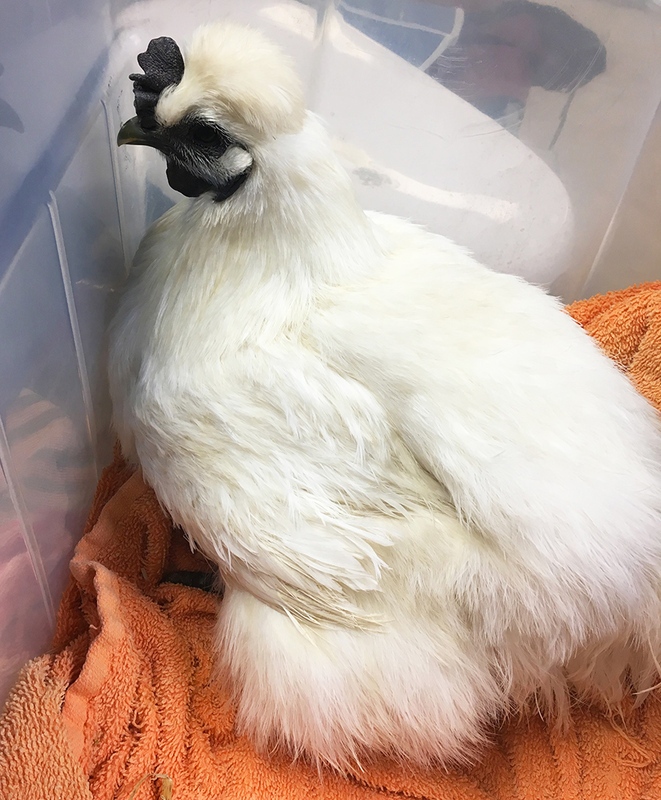 Our best hypothesis is that this is due to egg production; chickens lay a lot of eggs, which can take a toll on the body due to the hormones and high energy requirements, and in Jay Jay's case, likely causing her coelomic muscles to stretch and weaken. 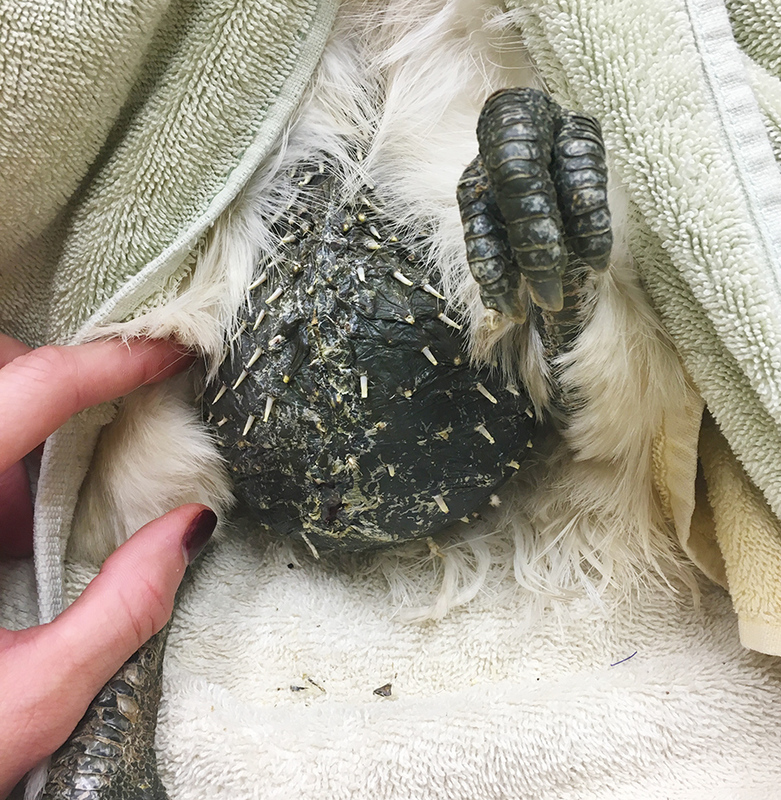 Therefore, in addition to tightening up the coelomic wall during closure, we also spayed Jay Jay by removing her oviduct (birds generally only have one oviduct, the left one!). We also placed an implant to shut down Jay Jay's reproductive hormones to speed up the process. 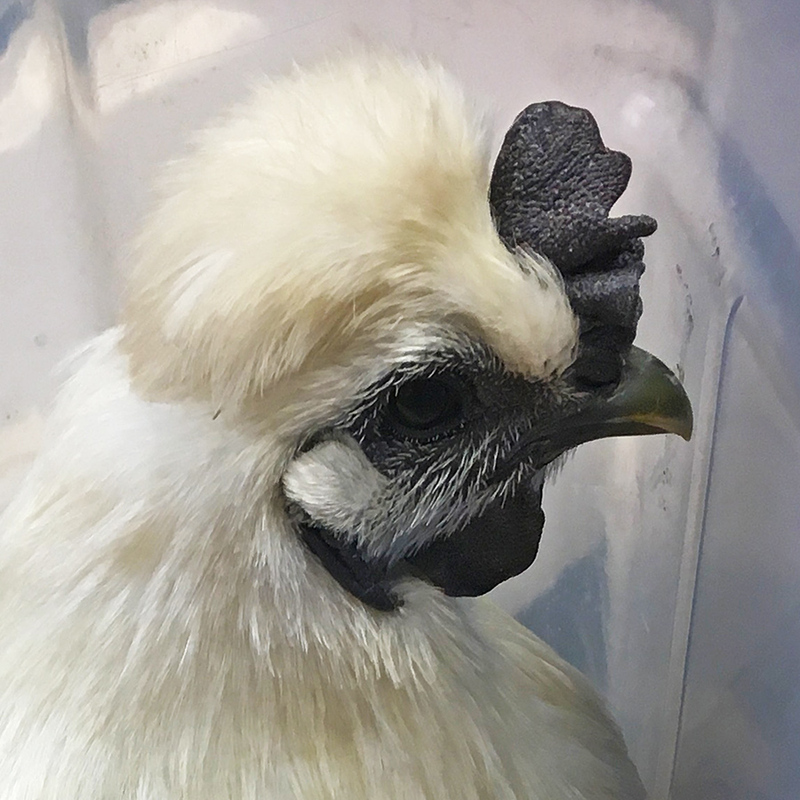 This means that Jay Jay will no longer be able to lay eggs, but luckily her owners love her just as she is. Jay Jay recovered from surgery beautifully. While there was not a hernia to repair, we were still able to close up the coelom tightly enough that Jay Jay's belly no longer looks distended and is no longer dragging on the ground. 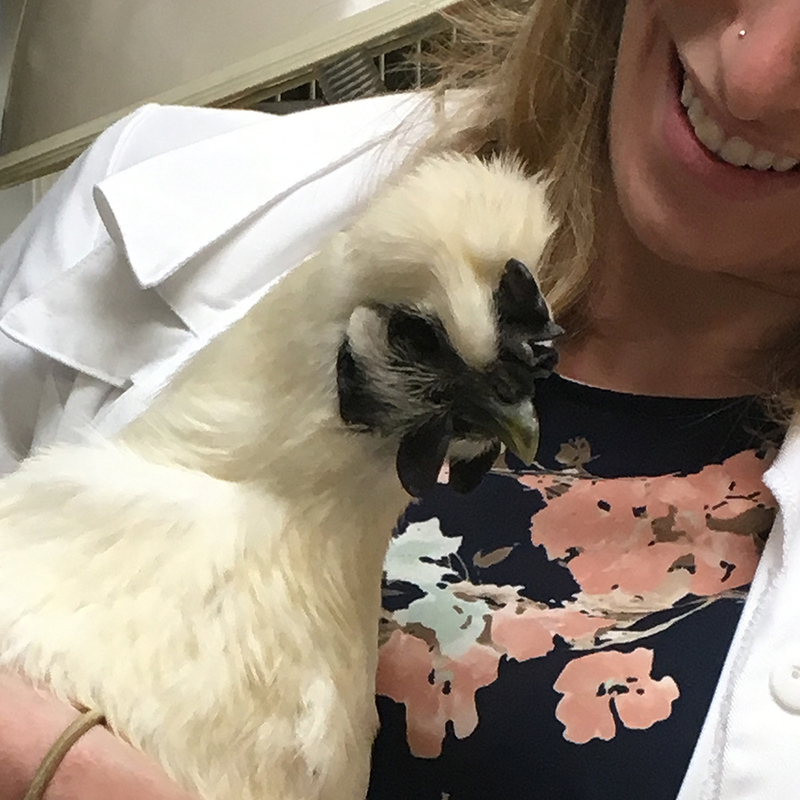 This Silkie chicken is back to her spunky self and we feel lucky to have gotten to work on such an interesting case! !